During our Whatsapp Bible study session sometime ago, a member made reference to certain Scriptural verses that has gotten stuck in my spirit since that time. The Word of God is indeed Bread that never goes stale. There is always something new to discover from these ageless writings. These Words are life. I sure have read that scripture on several occasions but it ministered to me in a beautiful way and to say that the person who quoted those verses yesterday was talking about something completely different from what I am about to share with you. 1. SELF DISCOVERY: It is very important for EACH ONE OF US to embark on a self-discovery journey so as to ensure that we don’t run another man’s race. You must understand who you are in God- find your identity in God. 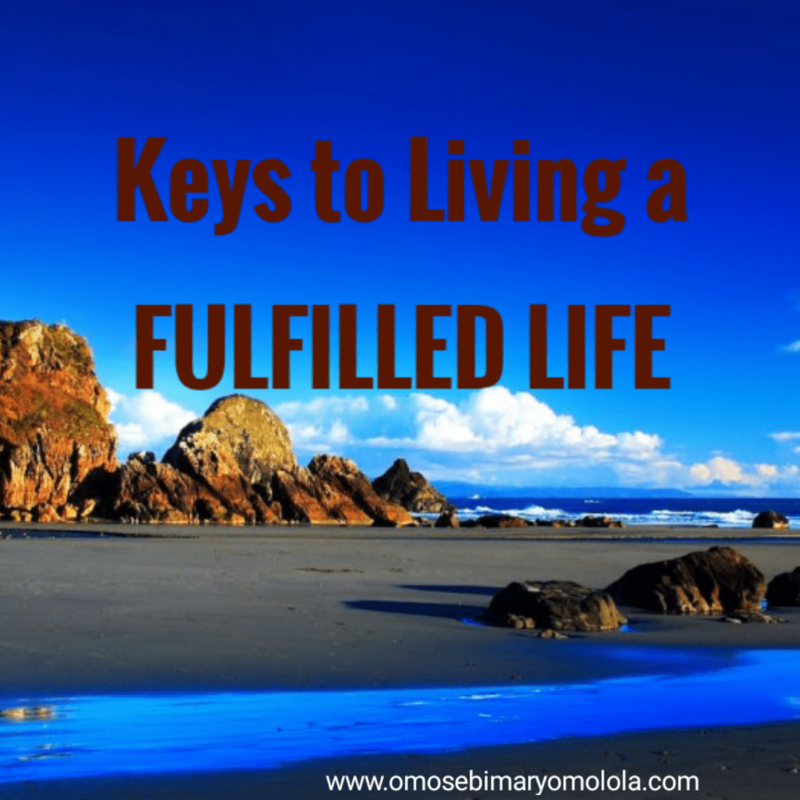 Until you know who you are, your journey towards fulfillment is yet to begin. Who are you? Do you know the true answer to that question? Take time out to find out who you are. You need to be intentional about this research. Go to your Maker and find out who you. Then, begin to walk in the awareness of who He has made you. 2. PURPOSE DISCOVERY: This is the next thing you must venture into. What work have you been assigned to do in life? Why are you here on earth? The knowledge of the correct answers to these questions will guard you from doing someone else’s work and running another man’s race which in the end will earn you no reward. You need to know where exactly the spot is that you fit into the Vine. Just like God made no two people with exact same thumbprints, He has made each one of us with unique purposes. You cannot just live life as it comes. That will only lead to frustration. You need to be purpose driven to enjoy a successful life in the long run. 3. PASSIONATE PURSUANCE OF YOUR PURPOSE: I attended the Global leadership summit recently and one of the speakers spoke about filling our passion buckets ourselves. The responsibility to grow and fuel your passion is yours and not other people’s. You must submerge yourself in your purpose to be fulfilled in life. And to be able to do that without refrain or yielding to discouragement, you must be really passionate about your purpose. It is one thing to find your purpose and another to have the drive to pursue it. It is VERY important that you add passion to your vision else the vision remains unfulfilled. We must occupy till our Master returns. We must be busy doing the work we have been assigned to do. And be really passionate about it. Time indeed waits for no one. Get engaged with purpose so that you don’t end up getting to the end of your life’s journey without having achieved any tangible thing according to God’s standard. You grow your passion when you see this purpose we are talking about as your purpose as much as it is God’s purpose for your life. It’s just like it’s an obvious fact that people tend to be more passionate about their own business than other people’s businesses. Once you discover yourself and have been identified as a child of God, God’s purpose becomes your purpose. 4. AVOID COMPARING YOURSELF WITH OTHERS: On the track of life, you meet several people running their own races too. When you see those running ahead of you, you might be tempted to get discouraged that you are not doing well enough on your own race. On the other hand, when you look back and see the flock of people far behind you, you run at a risk of becoming proud. And worse off, you may be tempted to slow down your pace. The antidote to these two extremes is to focus on your own race. Measure your progress and success against the standards of the umpire of the game and not on other contestants. Be sure to run your life’s race according to the dictates of the owner of your life. Encourage yourself in the Lord when you look forward and stay humble when your gaze is cast backwards. 5. STRIVE FOR EXCELLENCE: You are saddled with the responsibility to live your life well. You have this one life to live; live it well. You can’t put in less than the best and expect maximum returns. Be the best you can be with whatever you find yourself doing. Put in your best efforts at all times. Be diligent. And of course be creative and unique. God has instructed you to be fruitful and multiply. Go ahead and do just that. Maximise your potentials. Invest all your talents and gifts. The points raised here should help you so that you can have the personal satisfaction and inner joy of doing something commendable at the end of time.